The Pennsylvanian, designed by Daniel Burnham, opened in 1900 with its arched portico aglow with hundreds of incandescent bulbs. Burnham’s first plans called for a broader front entryway with five arches, but he later changed his mind and used a similar design on a much bigger scale for Union Station in Washington D.C.
As you enter, look up and enjoy the impressive Rotunda. Once inside, Guests can visit our newly renovated apartments, Resident Lounge and Fitness Center with Yoga/Spin Studio. The Grand Hall will be available to view on Sunday only. A Docent will be onsite to provide additional information about the building. 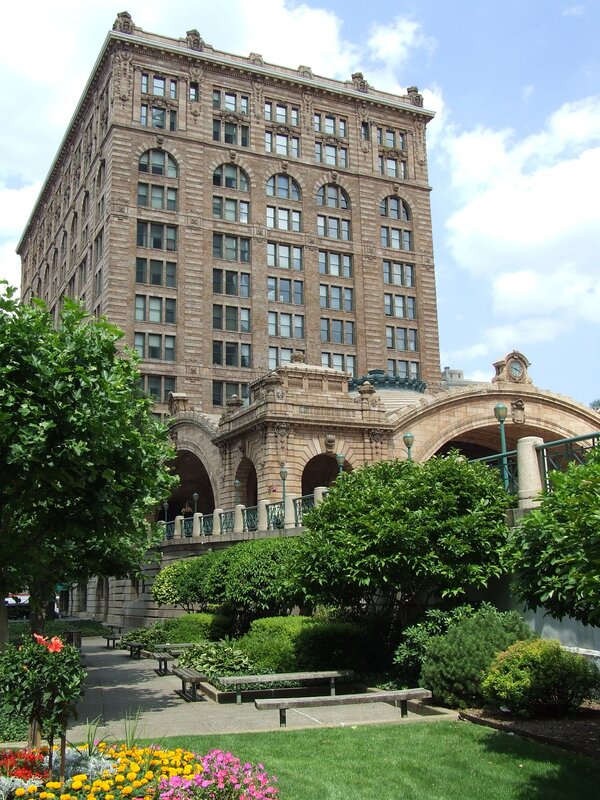 The Pennsylvanian is a historic train station that was one of several passenger rail stations that served Pittsburgh during the 20th century. The station building was designed by Chicago architect Daniel Burnham and built 1898–1904. The most extraordinary feature of the monumental train station is the Rotunda with corner pavilions. Experience the entrance of The Pennsylvanian, the Rotunda, which is a National Treasure. The Pennsylvanian is now home to beautifully renovated apartments, including studio, one and two bedroom apartments, lofts and penthouses. Please Note: Saturday – only the residential area will be open; Sunday – both residential and Grand Hall areas will be open.